Botox is an injectable substance that is a medical grade form of the botulinum toxin A, also called Botox Botulism. It is a medical protein that is injected into the muscles of the face to minimise the appearance of furrows and lines. 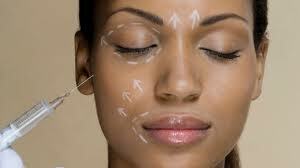 When Botox is used for cosmetic purposes the toxin is purified, diluted and then injected into the facial muscles. The toxin blocks the nerve impulses that control the movement of muscles by restricting the patient’s ability to contract them. A smoothing effect is seen almost immediately and it continues to improve over the next few days. The results last from three to six months after which most patients gradually return to their former state. The main questions people ask is “will Botox make my face look frozen?”, “how will I look?” and “will others detect my little secret?” One of the biggest misconceptions is that Botox will eliminate all facial expressions. If it is done properly using an artistic eye, the proper technique and conservatively, the patient should look like a more rejuvenated and refreshed version of themselves. The new General Medical Council Guidelines which comes into force on 23 July 2012 will ban doctors in the UK from prescribing Botox by phone, email, video-link or fax. Doctors will have to have face to face consultations with patients before prescribing Botox and other injectable cosmetics to ensure they fully understand the patient’s medical history and reasons for wanting the treatment. If you are considering a course of Botox injections do your research and check the Treatments You Can Trust register (http://www.treatmentsyoucantrust.org.uk/) which is backed by the Department of Health to see if the provider is appropriately qualified.